UNICEF, the United Nations’ Children’s Fund, has launched a US $9 mn. fund to promote technology start-ups. Everything must be made available under an open source licence. In addition, the start-ups must be registered in a country with an active UNICEF programme. This therefore excludes start-ups based in developed economies in North America and Europe. The sponsorship is being targeted from the outset solely at smaller companies and the maximum capital injection will usually amount to a maximum US $100,000 per company. UNICEF has no intention of taking a stake in the successful start-ups in return for its funding; the fact that the technology will be open source will be sufficient reward for UNICEF. Networking possibilities and technical support are also promised in addition to funding. The projects should focus on new possibilities for training and social participation, optimising management by making real-time data available or improving infrastructure in the fields of transport, network access or finance. Everything is possible from blockchain applications to drone hardware via 3D printing. Candidates for funding must apply by 26th February. See UNICEF’s website for more details of the Innovation Fund. The European Parliament adopted its report “Towards a Digital Single Market” in response to the European Commission’s Digital Single Market strategy in mid-January, the Free Software Foundation Europe FSFE) reports. The FSFE is pleased the Parliament took an affirmative attitude towards the increased use of free software and its importance to digital single market. Paragraph 89 considers that software providers “should better promote the security advantages of open source software”. Paragraph 110 urges the European Commission and the Council to “increase the share of free and open source software and its reuse in and between public administrations as a solution to increase interoperability”. Paragraph 125 calls for “the increased use of free and open source software, particularly in educational establishments and public administrations”. However, at the same time the report notes that the ability to license standard-essential patents under FRAND licensing terms fosters innovation and preserves research, development and standardisation incentives, even though these licensing practices are harmful to free software. The FSFE nevertheless welcomes the report’s adoption and calls on the Commission to follow the Parliament’s recommendations when pursuing the Digital Single Market initiatives. The first version of Kolab with integrated CloudSuite functionality is due to appear around the middle of 2016. Collabora’s CloudSuite web-based document product will be available as an integrated component in Kolab. The integration of CloudSuite into Kolab will allow users to work on documents simultaneously using a fully-featured online office suite from within the Kolab collaboration suite. Users will be able to create text documents, fill in spreadsheets and design presentations together, even when they are in different locations. Documents can later be saved in popular formats, including Open Document Format (ODF) and MS-compatible formats. The CloudSuite offering also comes with Collabora Office, a professional LibreOffice distribution, for offline use on the desktop. CloudSuite complements Kolab’s integrated editor, which is also gaining collaborative editing capabilities. Users will be able to collaborate in real-time composing emails, setting agendas for meetings or adding contacts to distribution lists before sharing their work with colleagues and clients. 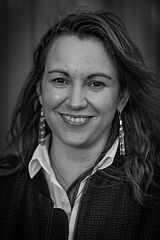 Axelle Lemaire can breathe freely again. As a matter of fact, the Secretary of State for Digital Affairs has something of which to be proud: her draft Digital Republic Law, which she submitted to the French Council of Ministers on 9th December, has just been adopted by the National Assembly on its first reading, Le Monde Informatique reports. This was an adoption with the support of a very large majority of deputies (= MPs) with 356 votes in favour, only 1 vote against and and 187 abstentions, as outlined on the French National Assembly website. Although socialist deputies voted overwhelmingly for this draft law (272 voting and 2 not voting), the majority (184) of their right-wing counterparts The Republicans abstained; one voted against and only 4 in favour, including backdoors for encryption advocate Nathalie Kosciusko-Morizet (news passim). The draft Digital Republic Law (PDF) hinges on three axes: stimulating the flow of data and knowledge (strengthening and expanding the opening up of public data, creating a public data service, introducing to notion of general interest data to enable its reuse by everyone and developing the knowledge economy), working for the protection of people in the digital society (stimulating an open environment by affirming network neutrality and data portability, establishing a loyalty principle for digital service platforms and introducing new rights for people in the digital world in respect of personal data and access to digital services) and finally to guarantee digital access for all (by stimulating accessibility to public digital services, access to digital services for the disabled and maintaining internet connections for the most deprived people). This proposal for a Digital Republic Law was put out to public consultation on the internet and 5 new articles and more than 90 amendments to the draft law presented to the Council of Ministers were the direct outcome of this online consultation. After its adoption by the National Assembly, the draft law will be examined by the Senate in the spring. Zeetta Networks, a spin-out company from Bristol University’s High Performance Networks group (HPN), is an internationally renowned team for their expertise in software-defined networking and network virtualisation, which has now received £1.25 mn. to commercialise the University’s software-defined networking technology to smart enterprises and Internet of Things (IoT), the University reports. Zeetta breaks vendor-lock-ins using a unique open networking platform based on industry-standard hardware and powerful orchestration software – named NetOS®– which manages, automates and monitors the whole network while significantly reducing its costs. Zeetta markets NetOS® to service providers and enterprises to help them reduce their network costs while improving network scalability and flexibility. NetOS® offers a “USB-like”, plug-n-play management of different types of connected network devices and enables the construction of virtual “network slices”, for example separate logically-isolated sub-networks for the deployment of business-to-business or business-to-consumer services, such as Ultra HD wireless video distribution, city-wide Wi-Fi, IoT and other applications. The funding, which is being provided by existing investor IP Group plc and new investor, Breed Reply, means that Zeetta can accelerate its growth plans significantly, enabling the company to expand its commercial and technical teams and to target new markets. New research has found a scientific solution that enables future internet infrastructure to become completely open and programmable while carrying internet traffic at the speed of light, the University of Bristol writes. This research by High Performance Networks (HPN) group of Bristol University’s Department of Electrical and Electronic Engineering has been published in the Philosophical Transactions of the Royal Society A and bears the title: Optical network democratization by Reza Nejabati, Shuping Peng and Dimitra Simeonidou. The current infrastructure of the internet is incapable of supporting independent development and innovation at physical and network layer functionalities, protocols and services, whilst simultaneously supporting increasing bandwidth from increasingly diverse applications. This research addresses this problem with a new high performance network infrastructure that is open and programmable and uses light to carry internet traffic (is it like Ronja? Ed.) It introduces new concepts of an open source optical internet enabled by optical white box and software-defined network technologies. The British Infrastructure Group (BIG), a cross-party group of 121 Members of Parliament dedicated to promoting better infrastructure across the entire United Kingdom has today released a report (PDF) entitled “Broadbad“, which has determined that some 5.7 million broadband customers (of whom 3.5 mn. live in rural areas0 and 400,000 businesses experience “dire” connection speeds despite quasi-monopoly supplier BT having received £1.7 bn. from the taxpayer to improve services. In the view of the report “dire” speeds mean that connections do not reach Ofcom’s “acceptable” minimum speed of 10Mbit/s. Since the UK economy now so reliant on its internet infrastructure, the BIG report contends that the country’s future is being held back by systemic underinvestment stemming from the ‘natural monopoly’ of BT and its Openreach subsidiary. The report concludes that the current situation is stifling competition, hurting ordinary people and in the process limiting Britain’s business and economic potential, costing the UK economy up to £11 bn. per year. The report calls on the regulator Ofcom to take radical action over the ‘natural monopoly’ too long enjoyed by BT Openreach. separation of BT from Openreach, combined with fresh competition and a concerted ambition to deliver, will create the broadband service that the country so rightly demands. According to The Guardian, BT’s response was that it took any criticism seriously, but described the BIG report as “misleading and ill-judged”, claiming the proposal to break the business up was “wrong-headed”. Furthermore, a government spokesman labelled the figures in the BIG report as “entirely misleading”. Some of the scepticism about the report could be because the BIG group is chaired by former Conservative Party chairman Grant Shapps MP, a man with an alleged dubious business record (ably assisted by Michael Green and Sebastian Fox, pechance? Ed. 😉 ). Other prominent members of the group include the Liberal Democrat former Scottish secretary, Alistair Carmichael, Labour MP Helen Goodman and Douglas Carswell, Ukip’s lone Member of Parliament. A cursory glance of the committee’s membership also revealed 6 local(-ish) parliamentarians: North Somerset’s right-wing former minister Liam Fox (no sign of Adam Werrity. Ed. 😉 ), Cotswolds Tory Geoffrey Clifton-Brown, Chippenham’s Michelle Donelan, Yeovil’s Marcus Fysh, Bath’s Ben Howlett (not to be confused with the Aussie rules footballer of the same name. Ed.) and the eccentric member for Bridgwater, Ian Liddell-Grainger. Professor O’Brien, Director of the Centre for Quantum Photonics at the University of Bristol and Visiting Fellow at Stanford University, is giving a talk today (Thursday) at the World Economic Forum (WEF) in Davos, Switzerland, at which he’ll announce that a working quantum computing system is expected to be developed by 2020. Professor O’Brien is part of a European Research Council (ERC) Ideas Lab delegation who have been invited to address the suits in Switzerland to discuss the future of computing and how new fields of computer science are paving the way for the next digital revolution. Quantum computing has the capability to unlock answers to some of humanity’s most pressing questions that cannot be solved with current computing technologies. 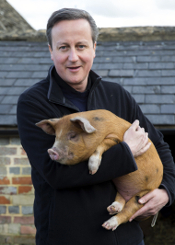 In 2014, the UK government invested over £270 mn. in the development of quantum technologies. Professor O’Brien has been leading the development of quantum computing using light in its quantum state – the photon- as the key ingredient. 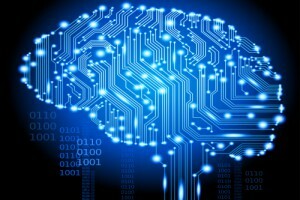 Professor O’Brien said: “In less than ten years quantum computers will begin to out-perform everyday computers, leading to breakthroughs in artificial intelligence, the discovery of new pharmaceuticals and beyond. 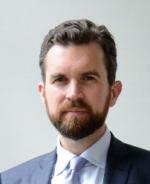 In his talk, Professor O’Brien will outline the current status of quantum computing and its potential applications and will reveal his blueprint for a manufacturable photonic quantum computer. The European Commission has just published three broadband studies examining speed, price and coverage. 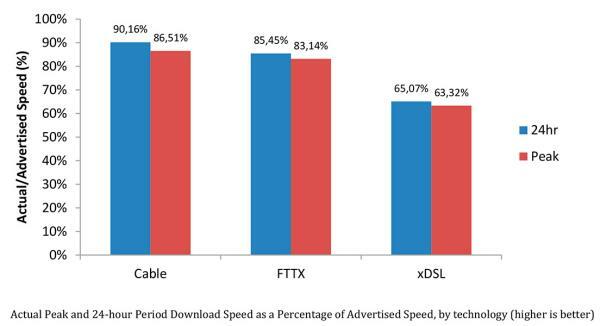 The first study, on broadband quality, concludes that subscribers are getting 75% of advertised download speeds. The second study, on prices, shows that broadband access has continued to become more affordable, whilst the third report, on broadband coverage, confirms substantial deployments of high speed fixed as well as 4G (LTE) mobile infrastructures. This study covers all EU Member States, plus Iceland and Norway. It shows that on average, EU fixed broadband customers are only getting 75% of the advertised download speed, the same as they were getting in 2013. The difference between advertised and real speeds remains constant in spite of investment in broadband networks, which raised the average actual download speed significantly from 30 Mbps in 2013 to 38 Mbps in 2014. However, download speeds throughout the EU are higher than in the United States. By way of example, xDSL services averaged 8.27Mbps in Europe and 7.67Mbps in the US. The EU is asking operators to be more transparent and giving users more rights through its new rules for a Telecoms Single Market, the text of which will be formally adopted by the European Parliament next Tuesday. The EU28 is less expensive than the US for broadband above 12Mbps, however South Korea and Japan are cheaper than the EU28 for broadband above 30Mbps. The third study – on broadband coverage – found that, excluding satellite, over 216 mn. EU households (99.4%) had access to at least one fixed or a mobile broadband technology at the end of 2014. High speed mobile broadband (4G based on LTE) coverage went up from 59.1% in 2013 to 79.4% in 2014. Next Generation Access (NGA) technologies capable of delivering at least 30Mbps were available to 68.1% of households up from 61.9% a year ago. The map below illustrates NGA deployment at regional level. Ubuntu signed an agreement with Amazon for sponsored searches within the distribution. When it was signed in 2012, Richard Stallman labelled it “spyware“ and polemics became inevitable. Ubuntu now seems to be backtracking. It’s official. This functionality will be dropped from the next version of Ubuntu – 16.04 LTS – which will be released in April, Toolinux reports. It was in 2012 that this new feature appeared and it wasn’t to the taste of everyone in the community; far from it. Richard Stallman called it nothing less than “spyware”. This function will be disabled by default in the forthcoming release. This is a decision that’s come late in the day and brings to mind how difficult it is for the likes of Ubuntu to find viable financial models for its free distribution. Fedict – the Belgian Federal Public Service for Information and Communication Technology – and the office of Theo Francken, the Secretary of State for Administrative Simplification relaunched the federal open data portal – http://data.gov.be/ – last Tuesday, Belgian news site Datanews reports. Fedict launched the first version of the open data portal in Belgium in 2011. The portal was linked to some 60 data sets, including usual government statistics, but also various metrics data, technical lists and public databases, such as for example the central social security databank and the Flanders built heritage database. The portal was relaunched last Tuesday in Brussels at an event enhanced by presentations by start-ups using open data for the products, such as data.be, which spoke about its associated lex.be site, and Ontoforce. That sparked off a furore. Experts agreed that what Cameron was demanding was technically impossible and if the government was suggesting that backdoors be implemented in encryption, well then tech giant Apple would leave the UK. It was also pointed out to the government that weakening encryption would jeopardise e-commerce and online banking since besides enabling surveillance by the forces of order, it would also render encrypted materials accessible to those with more venal or malicious intentions. As a response to the government’s ignorance and the threat to secure online retail therapy and banking, as well as secure communications, a petition was launched on the UK Parliament website under the heading “Government to abandon all ideas of trying to ban strong encryption.“. Strong encryption is used every day by citizens, businesses, the government, even this very web site. Encryption exists, and like trying to ban multiplication, it is pointless to try to stop it. A ban, or forcing back doors, can only harm law abiding citizens and have no impact on criminals. As the petition has now reached over 10,000 signatures, the government, in the shape of the Home Office (prop. Theresa May), has now issued the response below to the petition. The Government is not seeking to ban or limit encryption. The Government recognises the important role that encryption plays in keeping people’s personal data and intellectual property safe online. This Government recognises the importance of encryption, which helps keep people’s personal data and intellectual property safe from theft by cyber means. It is fundamental to our everyday use of the internet. Without the development of strong encryption allowing the secure transfer of banking details there would be no online commerce. As Baroness Shields made clear in the House of Lords on 27 October 2015, the Government does not require the provision of a back-door key or support arbitrarily weakening the security of internet services. Clearly as technology evolves at an ever increasing rate, it is only right that we make sure we keep up, to keep our citizens safe. There shouldn’t be a guaranteed safe space for terrorists, criminals and paedophiles to operate beyond the reach of law. The Government is clear we need to find a way to work with industry as technology develops to ensure that, with clear oversight and a robust legal framework, the police and intelligence agencies can, subject to a warrant which can only be issued using a strict authorisation process where it is necessary and proportionate, access the content of communications of terrorists and criminals in order to resolve police investigations and prevent criminal acts. There are already requirements in law for Communication Service Providers in certain circumstances to remove encryption that they have themselves applied from intercepted communications. This is subject to authorisation by the Secretary of State who must consider the interception of communications to be necessary and proportionate. The Investigatory Powers Bill will not ban or further limit encryption. This shows that the government has not given up on its desire to crack encrypted communications. Even though experts have told ministers and mandarins that reading encrypted content, the Home Office thinks – like a monoglot Englishman in a foreign restaurant – that all it has to do is repeat its demands, possibly in a louder voice, and the world will comply with its wishes. However, all the above response to the petition shows is that the Home Secretary and her civil servants are hopelessly out of their depth on matters of technology and have perfected that British government art of wilfully ignoring expert opinion. The response of the Home Office and the technical expertise of British government ministers contrasts starkly with last week’s action by the French Secretary of State for Digital Affairs and her specifically ruling out the use of encryption backdoors on behalf of the French government as a whole (news passim). It’s been announced that American multinational telecommunications corporation AT&T Inc. of Dallas, Texas, has selected Ubuntu Linux for its cloud and enterprise applications. AT&T is the second largest provider of mobile telephone and the largest provider of fixed telephone in the United States, in addition to which it also provides broadband subscription television services. 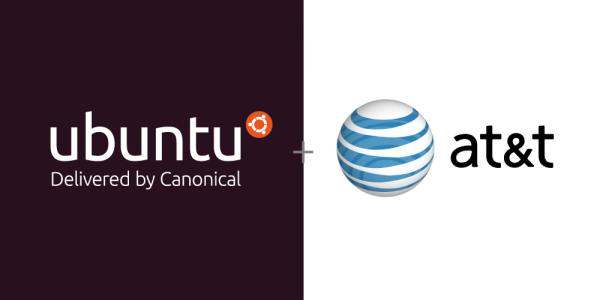 Canonical, the company behind Ubuntu, will provide the Ubuntu OS and engineering support for AT&T’s cloud, network and enterprise applications. AT&T chose Ubuntu based on its demonstrated innovation and performance as the leading platform for scale-out workloads and cloud. This is a great example of a technological mutualistic relationship. Obviously, Canonical is the big winner here, as AT&T is a huge partner — it should inject some much needed money into the growing company. With that said, AT&T is benefiting too — utilizing Linux and other open source technologies is a smart, cost-effective, way to retain flexibility. In other words, the company is wise to choose Ubuntu. In a blog post Marcin Kierdelewicz of Ubuntu has announced the first ever Ubuntu Day. Ubuntu Day will be a local event organised with the distro’s partners to support awareness and adoption of Ubuntu technologies in local markets. It will be an opportunity for people to learn about Ubuntu Cloud products directly from the experts and get some technical hands-on training with MAAS, Juju and Charms. The inaugural Ubuntu Day will take place at 3 Via Santa Maria Valley, 20123 Milan, Italy. The post concludes by stating that further Ubuntu Day events planned in London, Amsterdam, Moscow and Johannesburg, plus other around the world. Details will be announced soon. CityFibre, a company which builds, designs and operates pure-fibre networks across the UK and markets itself as “UK’s only nationwide, wholesale provider of dark fibre“, has announced plans to offer super high-speed services at speeds of up to 1 Gbit/s in Bristol, V3 reports. The company will partner with business internet service provider Triangle Networks locally to ensure that firms in the Bristol area are made aware of the services on offer and the 2 companies’ plans are to have 100 customers on the network by the end of 2016. CityFibre has acquired 82 km of pure fibre network assets in the city and surrounding areas, creating a state-of-the-art, alternative digital infrastructure in Bristol. Bristol Gigabit City will be officially launched at an event in February 2016, at which point a citywide marketing campaign will begin, raising awareness of the benefits to businesses from the Gigabit speed services being offered and enabling CityFibre to map demand for local network expansion projects. This week, Wikipedia reaches its fifteenth birthday. These days the free online encyclopaedia is the world’s seventh most popular website and now includes more than 38 million articles in 289 languages, all maintained by an army of volunteer editors and contributors. Andy Mabbett, one of that army of editors and contributors, has been musing on Twitter as to how Wikipedia will react having reached this chronological milestone. Over the last 15 years, although the project was originally initiated by Anglophone geeks, Wikipedia has been working to increase the diversity of its content and contributors through outreach programmes such as edit-a-thons at universities and museums and by trying to appoint more women administrators. However, there is still plenty of work to be done in this field. The Wikipedia website and the open source Mediawiki software it runs on are managed by the Wikimedia Foundation charity, which is funded by donations, the vast majority of them from small donors. To mark Wikipedia’s 15th birthday the Foundation has created an endowment fund that it hopes will raise $100 mn. over the next 10 years. 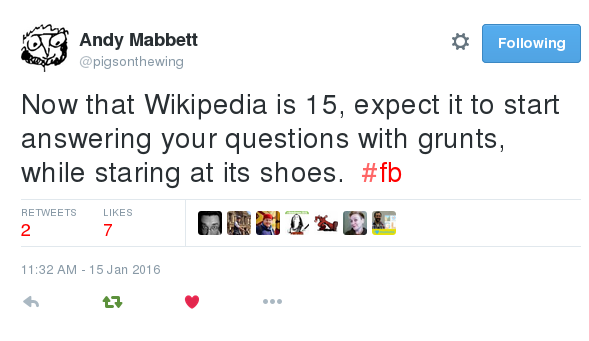 Happy birthday, Wikipedia – and may you enjoy many, many more. Back before Christmas, telecommunications regulator Ofcom published its Connected Nations infrastructure report (PDF) which examines connectivity in the UK in 2014 and 2015 and the media have just caught up from their festive torpor. According to Ofcom, “superfast” broadband (30 Mb/s and above) is now available to more consumers than ever before, with both industry and Government investments driving improvements in coverage. However, 17% of consumer households and Small- and Medium-sized enterprises (SMEs) remain unable to take advantage of these services. While that number is likely to reduce over the coming few years, a significant proportion of homes and businesses will still be unable to receive “superfast” broadband without further action. 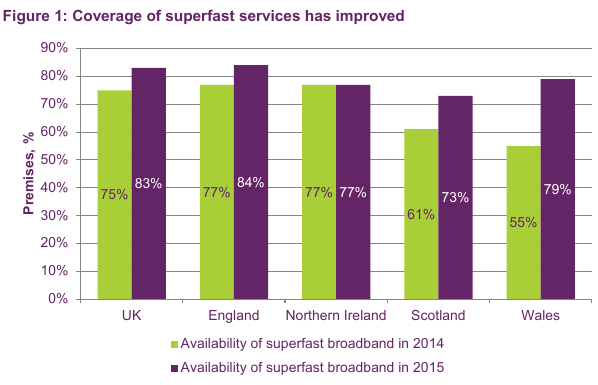 Both the coverage and speed of “superfast” broadband continue to increase. Around 83% of UK premises are now able to receive “superfast” broadband, up from 75% in 2014, and the average “superfast” download speed is now 65Mbit/s. One of those parts of the media which awoke to comment on Ofcom’s latest research was the Bristol Post, which reported on the city’s allegedly fortunate position in terms of the broadband speeds league title under the headline “Bristol has one of the UK’s fastest internet connections” (just the one internet connection, Bristol Post? Shome mishtake shurely. Ed. 😉 ). an emerging technology capable of delivering speeds in excess of 100Mbit/s, is being deployed. It takes high-speed fibre connections closer to the consumer’s premises and uses a short copper cable to complete the link. 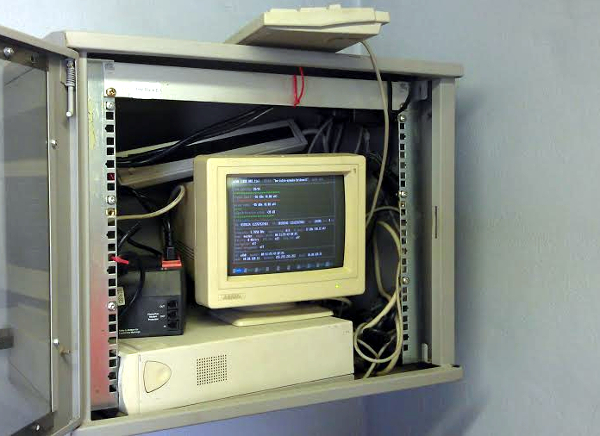 As part of our network upgrade work, Bristol Wireless has recently retired a couple of Pentium III-powered Compaq Deskpro EN machines that were acting as network gateways and performing other roles too. As these CPUs were only produced for 4 years between 1999 and 2003, that means our hardware is rather long in the tooth. To the best of your correspondent’s knowledge, the Compaq’s have been performing their roles reliably for 11 years. Not bad, you may be thinking. However, 11 years is chicken feed compared with what was reported yesterday in The Register of a server that has just been decommissioned after running without replacement parts since 1997. “In its day, it was a reasonable machine – 200MHz Pentium, 32MB RAM, 4GB SCSI-2 drive,” Ross writes. “And up until recently, it was doing its job fine.” Of late, however the “hard drive finally started throwing errors, it was time to retire it before it gave up the ghost!” The drive’s a Seagate, for those of looking to avoid drives that can’t deliver more than 19 years of error-free operation. Today’s Shropshire Star reports that free wi-fi will be provided at Shropshire’s two main hospitals – the Royal Shrewsbury in the county town and the Princess Royal Hospital in Telford. The overall scheme will cost some £400,000 with funding provided by the Shrewsbury and Telford Hospital NHS Trust and Telford and Wrekin Clinical Commissioning Group. This will mean patients, visitors and staff will be able to use their smartphones or other devices. This move comes after the announcement in December 2015 by Health Secretary Jeremy Hunt that free wi-fi would be provided in all NHS buildings in England in a bid to improve services and reduce costs.